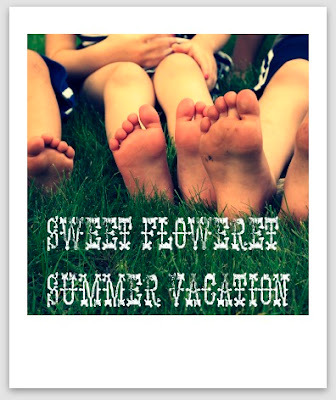 Sweet Floweret Blog Summer Vacation! I made a decision. I'm taking a summer blog break! I'm both excited and nervous. See, I love blogging but it's become somewhat of a distraction from my family and from God these past summer days. I feel like I need to take a long break to help me re-focus. You know how it is. So all of July for sure (and maybe some of August). We'll see! I will continue selling items from my etsy shop and responding to emails etc. "Like" me on Facebook to stay updated if you wish! In the mean time, have a great summer.